What did we do before the garbage disposal? This handy appliance has made kitchen cleanup more efficient since the first disposals were sold by the InSinkErator company in 1940. And since then, we have given them far too much credit for their capability. It seems the lowly garbage disposal was not designed to process many of the things we like to burden it with today. In fact, the rule of thumb is, if it’s soft enough for a baby to chew, it’s soft enough for our garbage disposal. That leaves out a lot of what most of us like to throw down there. 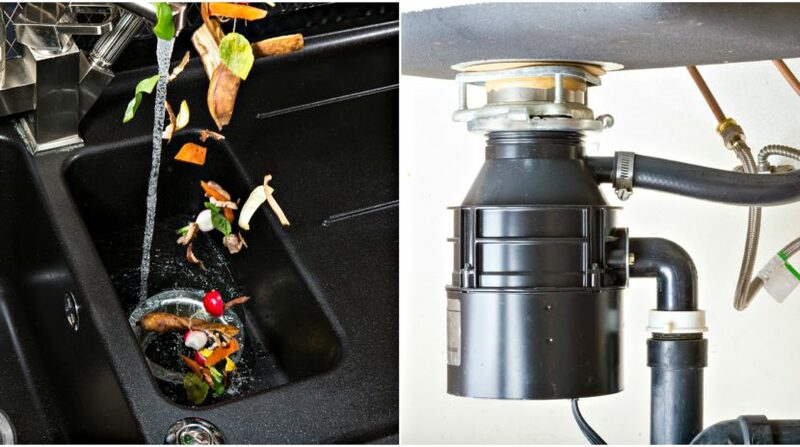 So here are some clear-cut things your garbage disposal just doesn’t like. The easiest way to get your garbage disposal to jamb is to throw bones down there and listen to them whir around until that dreaded clunk. Even though the good people at InSinkErator claim that small bones are garbage disposal worthy, we beg to differ. If you could look at the blades inside your garbage disposal, it would be clear why these aren’t a good idea. These small blades go around to break up foodstuffs. And anything that goes around can get easily clogged with vegetable fibers. Think celery. The congealing quality of grease makes it a clog just waiting to happen in your disposal. Regardless of hot water or cold water, that grease may make it past the disposal just to clog up your drain. And that is a whole different problem. Yes, cooked rice and pasta are soft. They are also gummy. And therein lies the problem. Gummy and garbage disposals are a match made in hell. And think of what uncooked rice and pasta do when you add water. Just imagine all that expansion going on right inside your garbage disposal. Can your baby eat these? Neither can your garbage disposal. If you’ve ever eaten a hard-boiled egg, you have no doubt encountered that membrane around the outside of the egg. And that membrane is what the garbage disposal struggles with more than the shell itself. This may seem simplistic, but think of how many times you have clogged your disposal with a plastic fork? Or a cloth? It may just be simpler to make sure nothing has fallen in there before you try to chop it up. For those of us who have lived life as though our garbage disposals are impervious, this may be disappointing. But, armed with information, we can charge on knowing that we simply can’t rely on our disposal as much as we thought we could. And reducing our risk of an appliance repair in San Diego county! But when those inevitable times happen, trust the appliance repair professionals at San Diego Appliance Repair company. We can get that disposal working in no time!